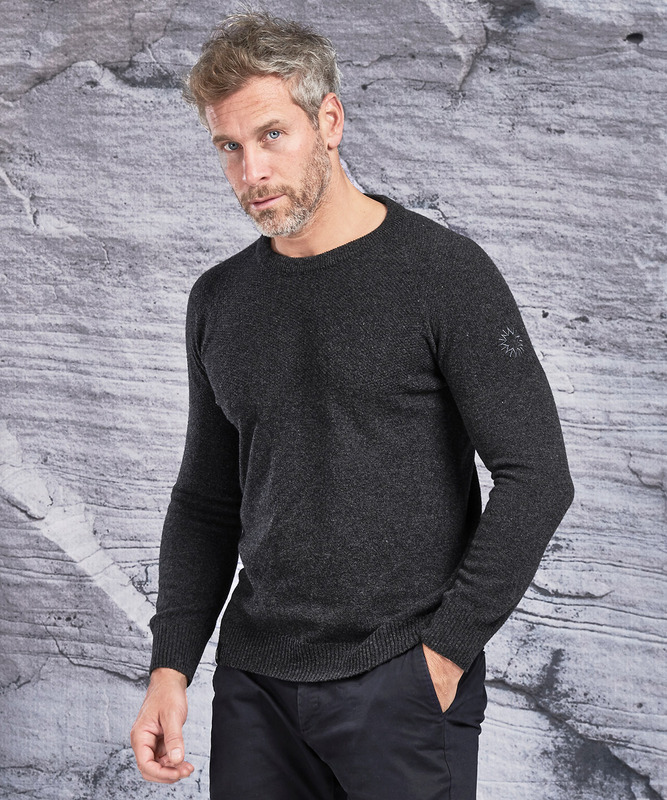 The Dulwich is a luxurious lambswool crew neck sweater that's made from the softest British wool. Available in 4 new colours, it has a 12 gauge seamless knit construction which means no joins, no friction, no unravelling. The top half has a light moss stitch, inspired by Shackleton's heavily bobbled sweater and there's a nine pointed star embroidered onto the left upper arm. This is a very soft and easy to wear piece that will look after you whether you're tackling a mountain or a sofa. Features iconic Shackleton Star & quote hem label 'difficulties are just things to be overcome'. Moss stitch chest, upper arms and back. Extremely warm lightweight gauge knit. Crew neck, versatility and style.